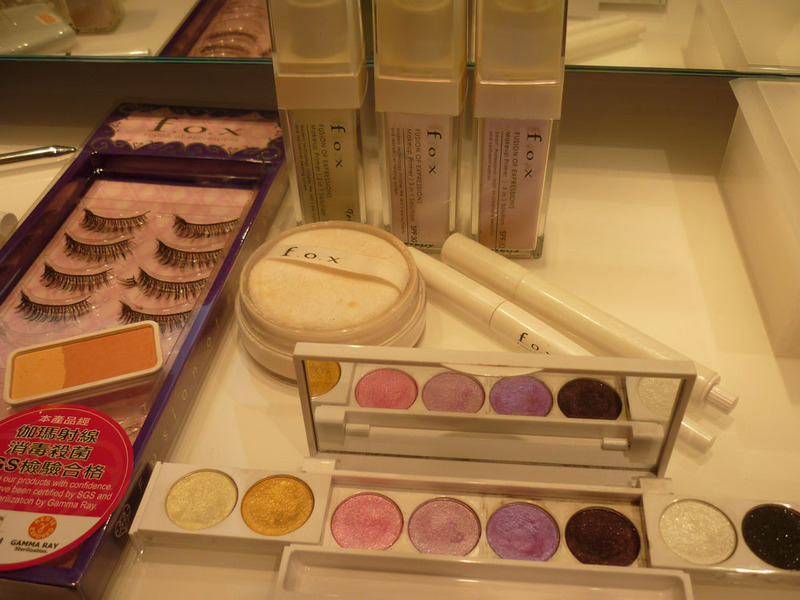 Ever wish you could get it right when you apply makeup? Wanna look fabulous every time you step out of your house? Ever wonder how to re-create the wonderful look your makeup artist has done for you sometime ago? Wanna learn the special techniques & tricks-of-the-trade that a Professional Makeup Artist will never divulge to you with minimal cost? If those are your makeup woos, fret no more because f.o.x. 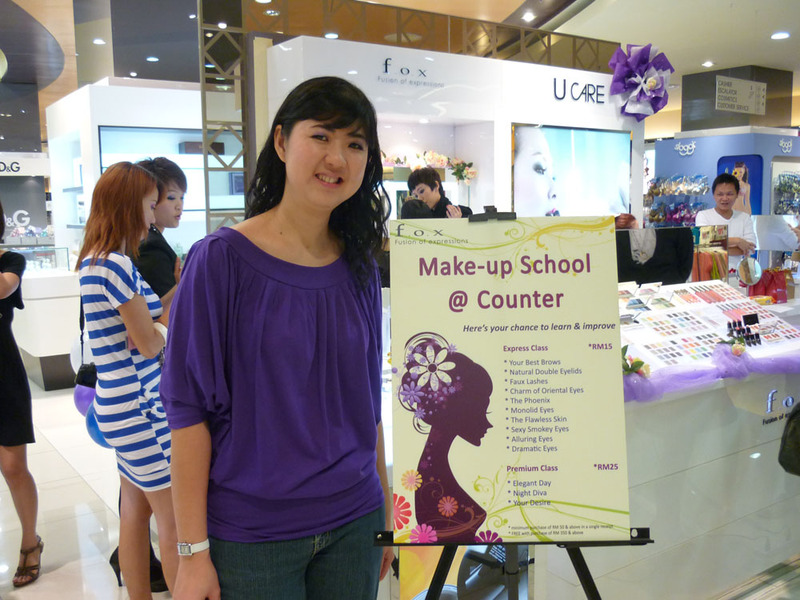 cosmetics has launched their Makeup School @Counter. I really love this concept where we can actually learn hands on makeup from their counter. I was invited for the launch and was attended by the lovely Alice. 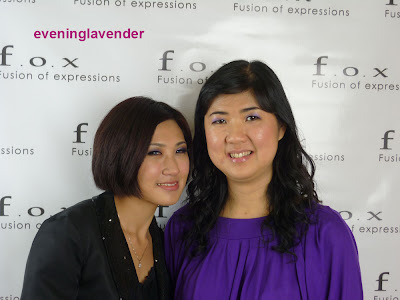 She is such a friendly makeup artist, very patient when showing me how to do makeup on my monolid. note: f.o.x. stands for "fusion of expressions"
A closer look, this is the first time I was taught the correct way to put on these fake lashes. Thanks Alice! With a minimum purchase of RM 50 & above in a single receipt, you can enjoy the classes at only RM 15 (Express Class - 15 mins) & RM 25 (Premium Class - 30mins); or FREE with purchase of RM 350 & above. If you are not interested to make any purchase you can pay extra RM 5 and you can join the makeup tutorial at RM 20 for Express Class & RM 30 for Premium Class. I think it is a good deal. this weekend got other plan. Yes, I thought it was a cool idea too! Thanks for liking my makeup!